All of you in the food industry know that your very business depends on the customers that purchase your food and your services. Much of your business depends on repeat customers and while you want your customers to tell their friends that your food is “To die for” you don’t want them actually dying or even feel like they are dying after sampling your wares. So here are 5 reasons you need food safety supervisor training. 1. There are an estimated 5.4 million cases of food poisoning in Australia per year and 60% to 80% of food-borne illness arises from the food service industry. 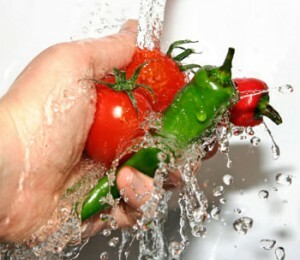 Food safety supervisor training just may help ensure that not a single one of 11,500 cases of food poisoning that occurs each day occurs at your place of business. Once word gets out that someone got deathly sick from food they consumed at a specific eating establishment or from a specific caterer, that business may as well close their doors because they are going to lose the trust of the public that their establishment is a safe place to eat. 2. Food safety supervisor training ensures that the person who is in charge of seeing that all the food in the establishment is stored, prepared, handled, and cooked safely knows how to safely do all those things themselves and knows how to pass that knowledge on to everyone else who works in the that particular food service location. 3. Food safety supervisor training is necessary so that new food safety inspectors can learn how to go about developing food safety plans and implementing them in a manner that everyone needs to know what they are supposed to do to ensure that all the food products in your establishment get handled properly from the time the delivery truck drops off the food items until it leaves in your customer’s stomach. 4. Food safety training will help your food supervisor know what the most common causes of food illnesses are and how to prevent the contamination that causes those illnesses. This training will also give them tips on what to look for to make sure that everyone in the establishment is following safe food handling guidelines and what he needs to do if someone in your business repeatedly ignores the safety guidelines and plans. 5. Food safety training will explain to your food safety supervisor and to their employer what the penalties are for serving unsafe food or food that could possibly be unsafe and what paperwork or other things may be needed to show that the food safety supervisor and every food worker in your business has the necessary training to safely handle food and that proper supervision is given to ensure that food is safely being handled and that your food preparation and service area is sanitary. The bottom line is that your entire business not only rests on the way your food is cooked and presented to the client but, also on the fact that your food continues to be safe for them to eat without worry that they will become sick from the improper handling or food preparation.